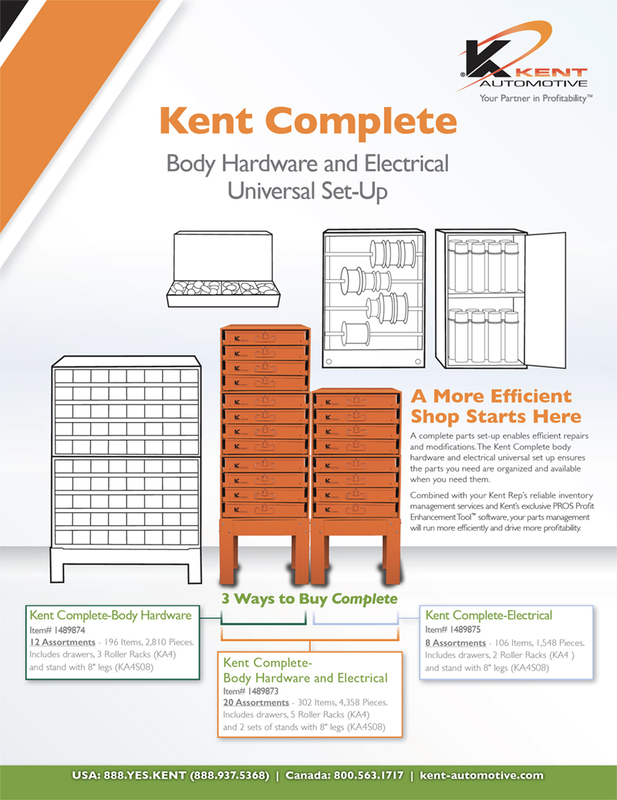 Kent Automotive features a vendor managed shop setup with essential parts that they call Kent Complete. To help communicate the features and benefits of this product, I was tasked to create a catalog, a launch flyer, and a few other items in the campaign. 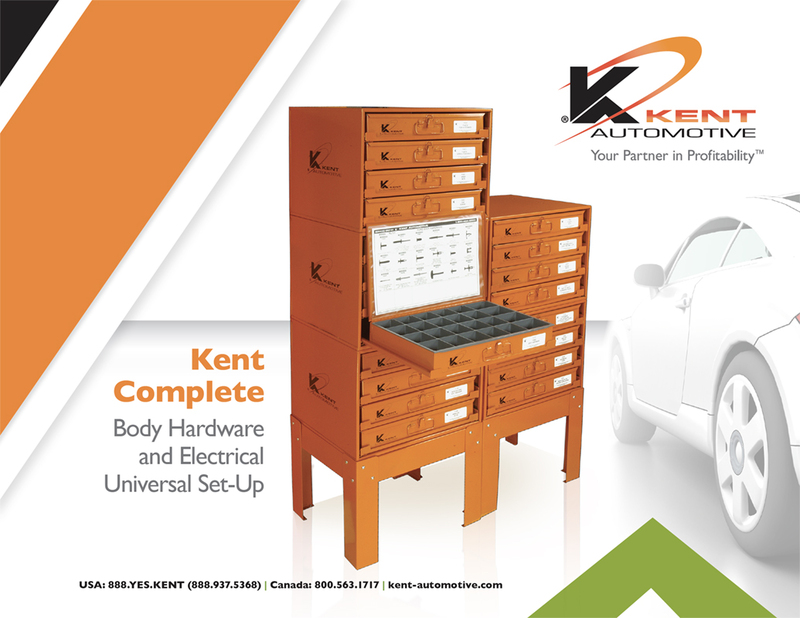 I worked with the product team to gather all the necessary product details and then designed a clean layout that would visually show what auto parts were included in the bins. The resulting campaign helped lift sales on the product and build awareness.